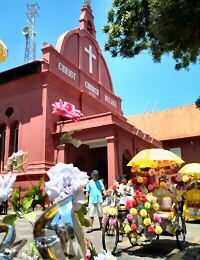 Malacca Meningitis Free Good news for all travelers to Malacca Malaysia: as of today the Malaysian Government declared Malacca free from meningitis! 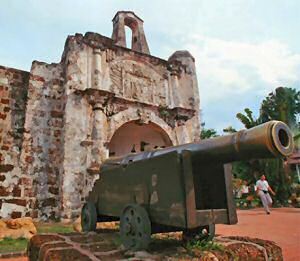 Good news for all travelers to Malacca Malaysia: as of today the Malaysian Government declared Malacca free from meningitis! This statement made today comes one week after the last three remaining trainees, out of the 41 trainees from the Road Transport Departments training academy in Tiang Dua warded at the Malacca Hospital, were discharged. With it, the general quarantine imposed at the training academy in Tiang Dua on about 450 others was lifted as well. A 45-year-old Japanese expatriate working in Malacca who was placed under home quarantine on Monday was found negative for the H1N1 virus. He was one of the 76 passengers who traveled from Newark in New Jersey, United States of America on board MH091 to Kuala Lumpur International Airport. This airplane carried the 2 first Malaysians confirmed with H1N1 virus after visiting the US. 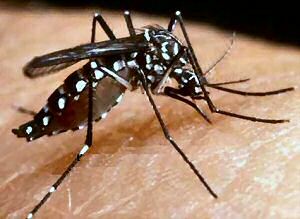 A bigger than normal mosquito striped like a zebra: the aedes mosquito can give you chikungunya disease or the more deadly dengue fever. Both fevers start with flu and headache symptoms, but especially dengue makes you feel lethargic within a week of having the symptoms. Don’t be brave, go and see a hospital at once and have a blood-sample taken. aedes mosquitoes don’t fly between 9 am and 17 pm (although I already noticed some dengue mosquitoes that don’t carry a watch). Compared to Australia or the US where deadly spiders can crawl into your bed, Malaysia is a very safe and sound country. The chance that during your holiday in Malaysia you get ran over by a motorbike is much higher than you leaving Malaysia with a disease.